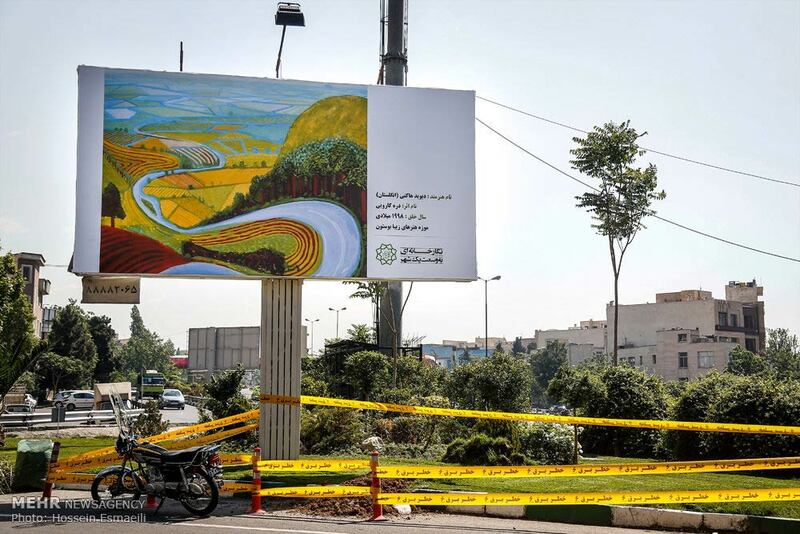 Copies of famous works of art, including many by prominent Western and Iranian artists, will appear next week on billboards and tableaus across the capital city of Tehran. Over 2000 billboard ads will be replaced with images by Pablo Picasso, Rene Magritte and Henri Matisse and reproductions of traditional Persian miniatures, carpets, calligraphy and many more for ten days, turning the face of the city into a huge art gallery. The images selected for the project, "A Gallery as Large as a City", are copies of paintings generally kept in the world museums, director of Tehran Municipality's Beautification Organization Issa Alizadeh said in a press release published on Monday. "There has been a slight change in the second edition of the project, making the notes on each image easier to read. We have also tried to avoid repetition of one work on several billboards in the city," he explained. On displaying images selected from works by deceased artists, project manager Mojtaba Musavi said, "There needs to be more efforts to introduce works by deceased artists. Moreover, we have avoided showcasing works by living artists, since we need to observe the copyright law." Musavi also said that most of Tehran's billboard spaces are run by private companies; however, they have agreed to dedicate their billboards for promoting culture across the city for a short period of time. "Happily, people welcomed the idea last year and we believe this project will help the citizens raise their knowledge of art and make them more familiar with artists and their works," Musavi said. "Our people are too busy to go to the museums and galleries," he said, adding, "So we decided to turn the entire city into a huge gallery."